Belgium or the Czech Republic: which country is more expensive? This comparison of travel costs between the Czech Republic and Belgium examines average prices across multiple categories. Please visit each country's individual budget page for more detailed information. Should you visit Belgium or the Czech Republic? Belgium and the Czech Republic are both small countries with a few popular destinations for tourists. In Belgium, most visitors spend the majority of their time in Brussels, and in the Czech Republic, Prague is the most popular destination. Both Belgium and the Czech Republic are small enough that if you're short on time or don't want to travel to a wide variety of different destinations, then they are good options. It's also relatively easy to integrate either country into a trip to other parts of Europe. One great perk about visiting Belgium is that you can pick one base, and explore the country with several great day trips. The transportation network is excellent and if you don't want to spend a lot of time packing and unpacking, then this is the way to go. 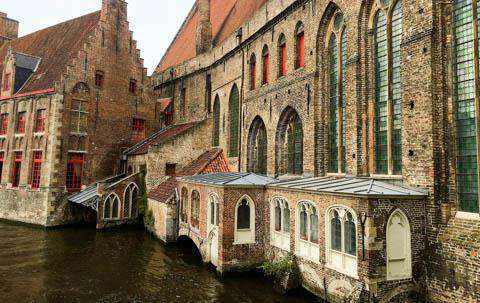 Belgium is a bit less popular than the Czech Republic and many people overlook this fascinating country when they're planning a trip to Europe, but it is a great place to visit with a lot to offer all types of travelers. The Czech Republic is more affordable than Belgium and it if you're on a tight budget, it may be your better option. 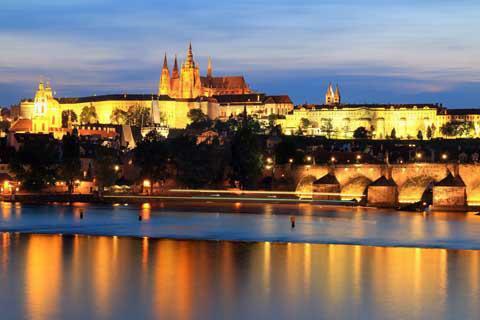 Although the Czech Republic no longer has the excellent deals from years past, the costs are still much lower in the Czech Republic than they are in much of Europe and you can easily find affordable food, lodging, and transportation. When is the best time to visit Belgium and the Czech Republic? Belgium is a great country to visit anytime between April and October. There are a variety of music festivals during this time and the weather is quite pleasant. The crowds usually peak during the months of July and August, which is also when the prices are the highest. The Czech Republic is a great place to visit year around. The winters can be cold, but the holiday season creates a special atmosphere. Summers aren't as hot as they are in southern Europe, so even during the peak summer months, the temperature isn't too extreme. Prices are a bit higher during the peak summer months though, and crowds are more intense. Spring and fall are great times to visit either place, as temperatures are usually pleasant and the prices are a bit more affordable. Why is Belgium more expensive than the Czech Republic? In general, the cost of living in the Czech Republic is more affordable than it is in Belgium. This keeps prices lower for residents and visitors alike. In addition to its lower cost of living, the Czech Republic uses its own currency, the Czech koruna, instead of the euro. Exchange rates can effect the cost of travel and often work out in favor of the visitor. What are the most expensive and cheapest cities and regions in Belgium and the Czech Republic? Prices in Belgium are relatively consistent throughout. It's possible to find affordable hostels and budget hotels in most cities and towns, and there are a variety of restaurants with reasonable prices as well. Travel times are also quite short within Belgium, so the cost of traveling between locations is reasonable. In general, the larger cities and most popular travel destinations are the most expensive places to visit in the Czech Republic. Prague is the most popular travel destination in the Czech Republic and most people want to stay in or around the city's famous old town, so prices in that area are usually a bit higher. Still, there are plenty of hostels and budget hotels to choose from, so it is possible to find a good deal. How you can save money when visiting Belgium and the Czech Republic? It's easy to visit either Belgium or the Czech Republic during the spring or fall seasons when the prices are a bit less and the crowds aren't as intense. If you want to save some money then this is a great time to explore the area. Belgium can be explored through a series of day trips. Pick a base and then spend some time in nearby towns. This will give you a feel for the country in a shorter amount of time. Eat where the locals eat. Restaurants that are geared toward tourists will inevitably be more expensive. Try to find a local eatery and you're sure to save a good bit of money. Spend time walking around the city or town you're in. Take at least a day where you don't visit a museum, show, or take a tour. Instead, just head out on the town with a map and soak up the atmosphere.